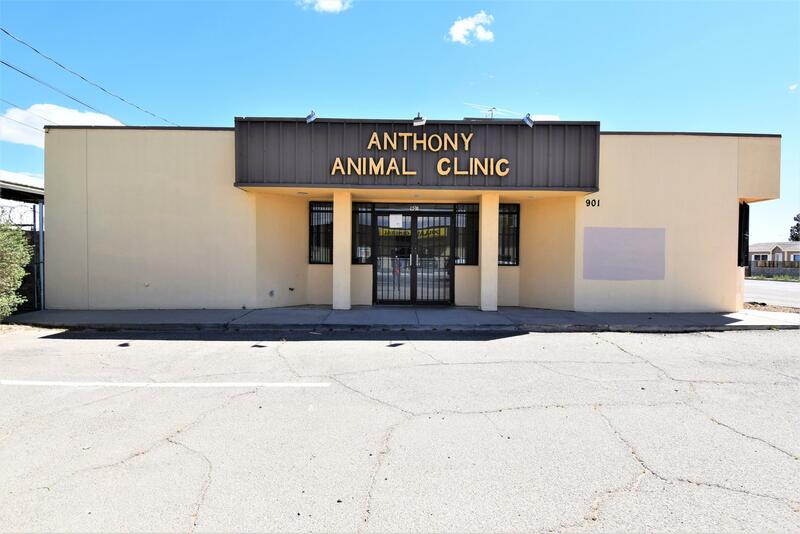 Former Veterinary clinic available! Tons of possibilities. Medical office or professional offices. Anthony TX is growing and this is the perfect time to buy! 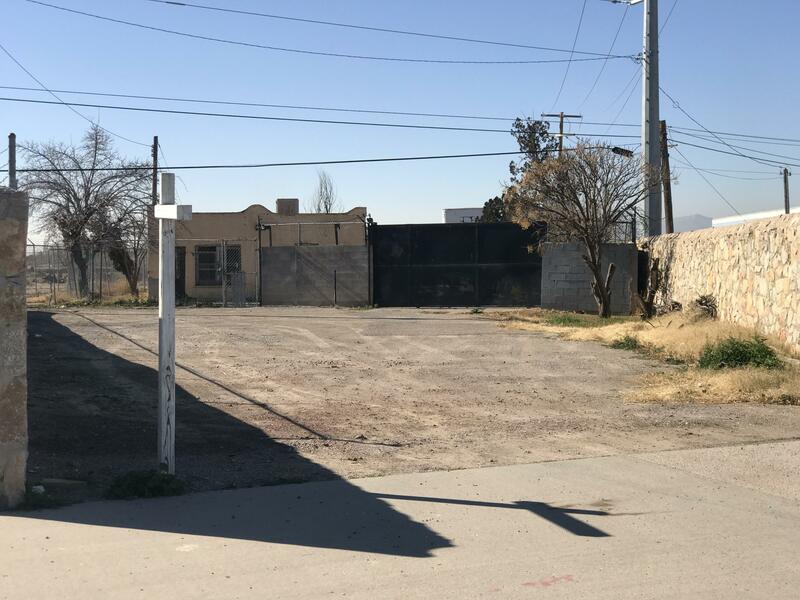 Dont miss out on this very rare opportunity to own your own business.Lot size is 9396 sq ft. Building is 1806 sq ft.
Nice 9,147 square foot property on the corner of Modesta and Tarango. There is a road that runs through the middle of the property that was built without the owners consent. ** Lot Size: . An investor's dream! Seller financing. Close to International Bridge of the Americas. 100% leased! 1) Workshop (1,248 sf), office (234 sf), second story studio (384 sf) storagebuilding (208 sf) and a 3-bay garage (920 sf). 2) 1 office, 800sf. 3) 1 Office, 916 sf. 4) 5 apartments, 456 sf each. 5) 2 apartments, 600 sf each. SELLING THIS PROPERTY WITH LOTS OF POTENTIAL WITH AN ACRE AN 1/2. 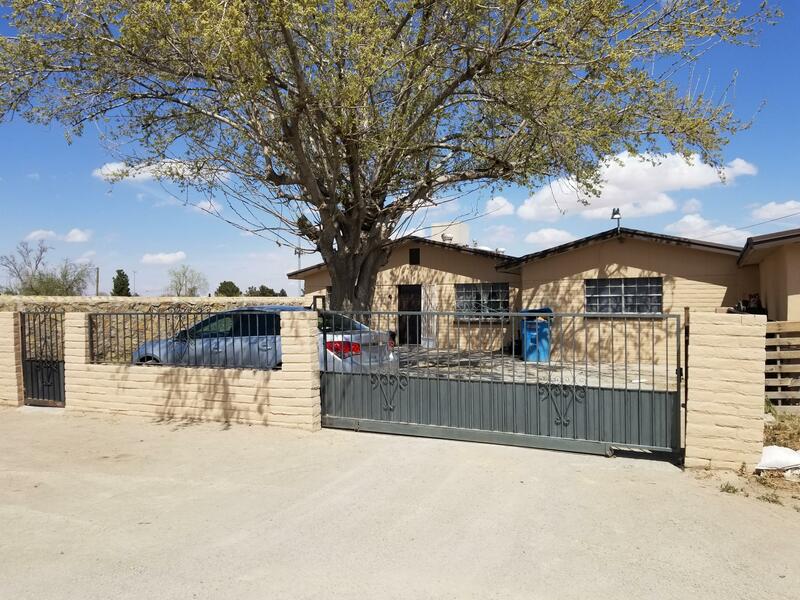 THIS PROPERTY IS SPLIT ZONED FRONT PART TO THE GARAGE IN BACK IS ZONED C-4 & FROM THE BACK OF THE GARAGE TO THE END OF THE LOT TOWARDS THE BACK IS ZONED RESIDENTIAL R-4. CALL ME FOR A SHOWING. 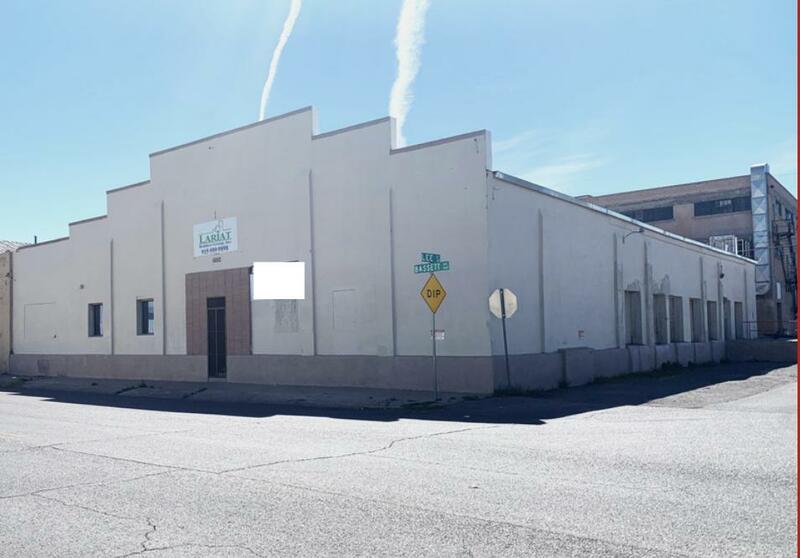 Excellently located warehouse facility with offices in Central El Paso. This beautiful building features approx. 17' ceilings; 6 dock high doors facing Lee St.; recently remodeled offices in front are heated and cooled with package unit (3 rooms total downstairs and 1 office located upstairs); warehouse is heated; new TPO roofing and skylights installed 2018. 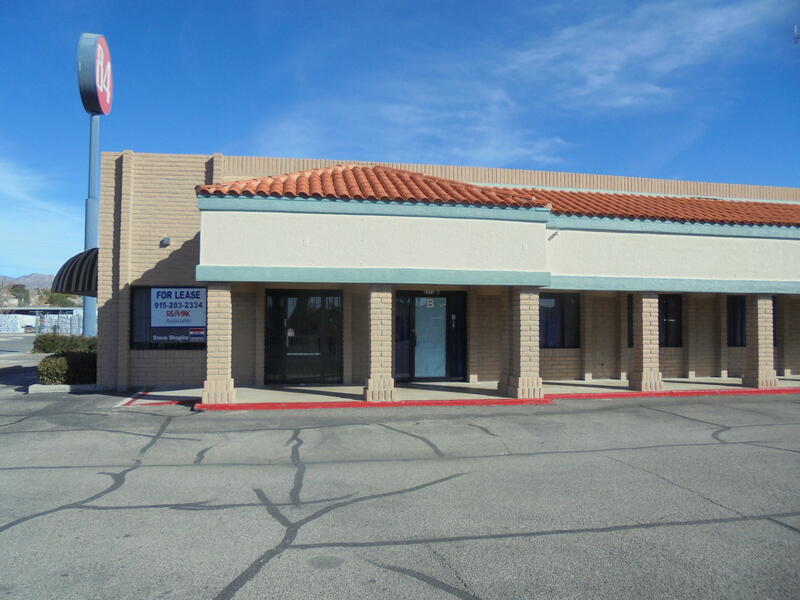 LEASE RATE: $3,300 MO.Office Building located at Yandell/ Campbell & I-10. Completely remodeled with high ceiling and spacious offices plus adjacent parking lot. 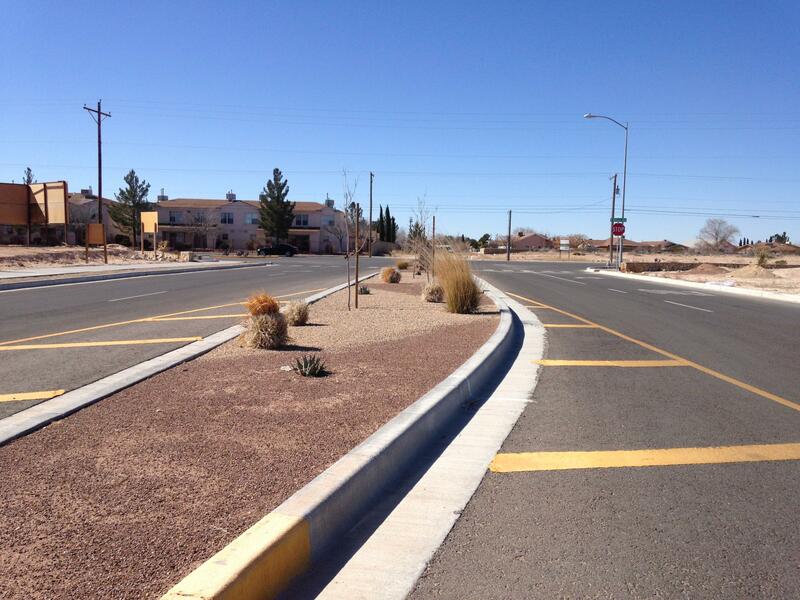 Easy access to Downtown & UTEP. Brand New Industrial Center. Leasing NOW! 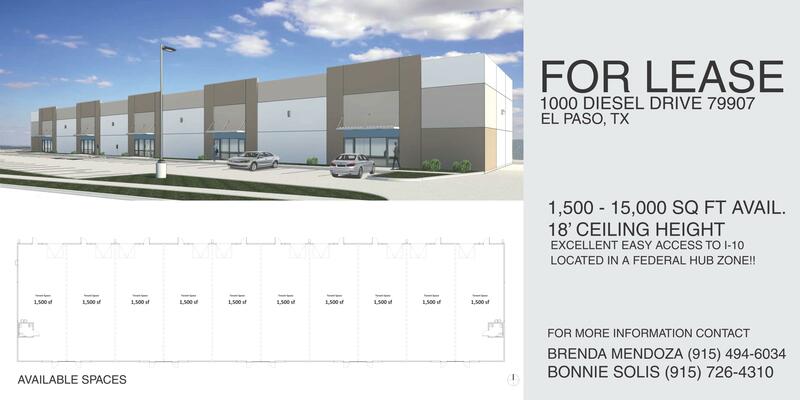 1500-15,000 square feet of flex space available. Every suite will have 500 sq ft of office area with HC bathroom and 1000 sq ft of warehouse, continuous space available. $1500/mo for 1500 sq ft; $3000/mo for 3000 sq ft, etc. 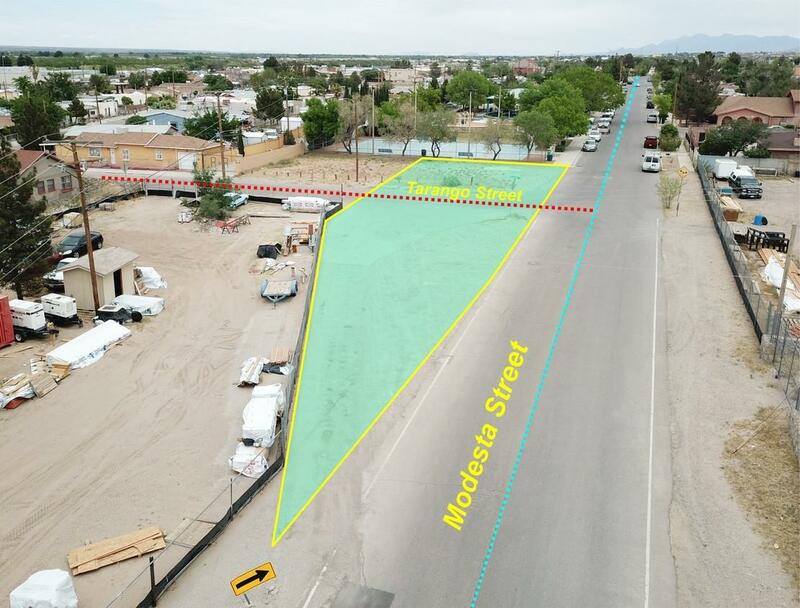 3 unit investment property on Alameda near Socorro High School. Great starter investment property! Fully rented. 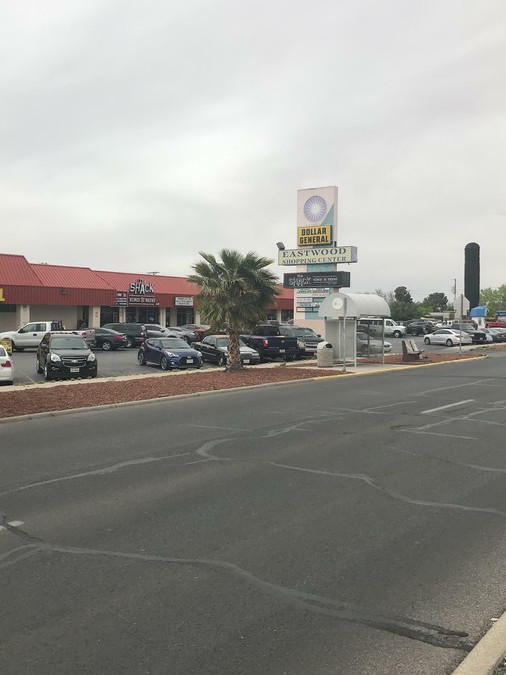 Former Restaurant : Hood & Fire Extinguisher, Sinks, Grease trap.This prominent Center is occupied by 15 other successful businesses. 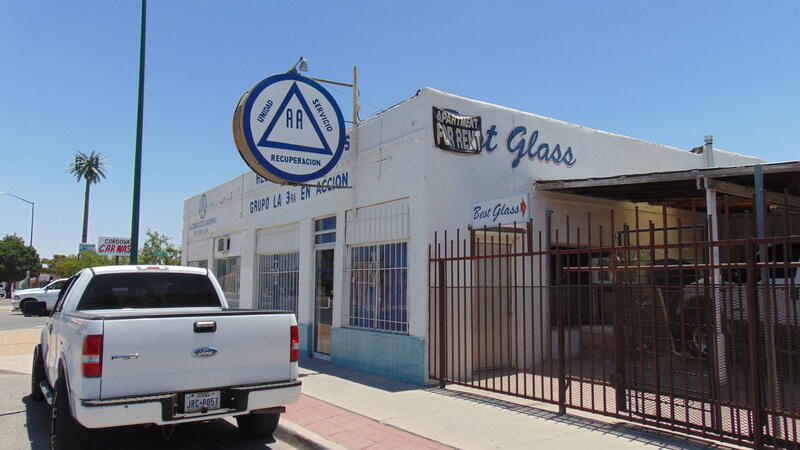 Located in center of booming city, near McDonald, Super - Walmart, Hospital etc.You can call John 915-497-5001 or Lee for showing. PROPERTY LOCATED ACROSS STREET FROM ELEMENTARY & MIDDLE SCHOOL. ACTIVE NEW HOME BUILDING GOING ON GLENN WARNER BLVD. IDEAL TO BUILD MUCH NEEDED MULTI- HOMES OR APARTMENTS. WALKING DISTANCE TO SCHOOL, SERVICES & GROCERY STORE. Excellent Location for Retail or Office Space. High traffic location and highly visible. 1000 SF. Zoned C-4 allows many types of uses. Drive Through Window on the Side. Near Redd Road. 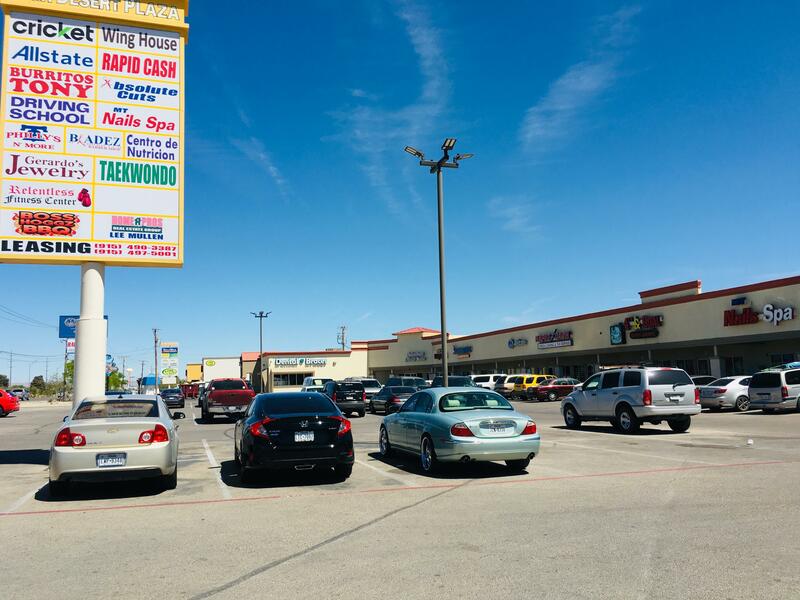 Eastwood shopping center is one of the busiest centers in the east side of El Paso. We have 1,800 square feet end cap available for immediate occupancy. For viewing, contact Mr.